An ancient proverb says: “Olive oil drives away all the pain and worries.” Old wisdom was later confirmed by scientists who say that the extra-virgin olive oil has the most wholesome, beneficial and protective effects on our organism amongst all widely used fats. So if you like to cook and eat well then you have to get your hands on a bottle of extra-virgin olive oil from Slovenian Istra. 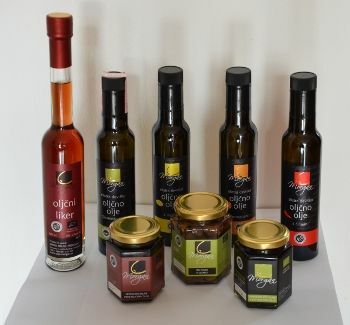 Try the many times awarded “Morgan” olive oil that consists of Istrska belica, leccina and some other sorts. Those who prefer to spice up the life can also try the extra virgin olive oil with the taste of lemons, oranges or chilli. And who is not intrigued by the Olive liqueur? You can find all the mentioned products and more in the Nonna Pina shop in Piran.